Lynn Sweet at the Sun-Times is reporting that in addition to naming Darlene Senger and other Illinois Republican candidates to the NRCC 'Young Guns' Program, Greg Walden, the Chair of the NRCC is coming to town to demonstrate the national support of a handful of candidates here in Illinois. 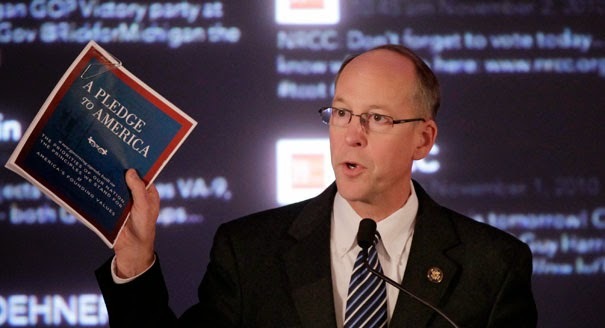 Greg Walden, R-Oregon, the chair of the House GOP political operation — the National Republican Campaign Committee --is traveling around Illinois on Thursday and Friday to fundraise and stump with five GOP House candidates in tight races. "This is a battleground state for us again this cycle and we will continue to put a focus on ensuring victories in Illinois this November," NRCC spokesman Katie Prill told me. You can check out the full schedule of events they have planned including one with each of: Bob Dold, Darlene Senger, Mike Bost, Rodney Davis, and Bobby Schilling.